PJM Consulting provides services through engagements custom-designed to meet the needs of each unique client. We can be retained for as little as a day of “intensive intervention” with the client management team. However, our typical engagement utilizes an affordable, flat-fee monthly retainer with no long term commitments which allows clients to try out our services with minimal expense and risk. We can serve in a variety of roles: as your “on call” expert, serving as a sounding board, as a part-time or interim functional manager, or “strike team” for the company’s most critical near-term or strategic initiatives. We can engage for a set period of time for a product launch, or on an open-ended basis to turnaround a struggling business or product line-“until the job is done.” We’ve worked with clients for as little as a day and as long as 8 years. It depends solely on the requirements of the specific task and preferences of the client. As stated above, we typically work on a flat-fee retainer basis, since under this arrangement we can offer our lowest cost alternative–therefore the most “bang for the buck.” But we will also take on short-term projects on an hourly basis or can work on a day rate as well, if that is the client’s desire. In certain circumstances, we will consider taking part of our compensation in equity , if the situation warrants it and it is the client’s desire. The only way we won’t engage with a client is on a contingency basis. Just like our engagement terms, our compensation is client-driven as well. We work with clients on a wide geographic basis, throughout the US and also worldwide. Coaching for CEOs and other senior executives – Many of our assignments include as one component working directly with the CEO in an advisory capacity on strategic issues. We serve as a senior advisor who can act as a “sounding board” and provide an outside, honest view of the situation as well as sage advice on the best path forward. This aspect of the engagement is usually combined with strategic and tactical work on one or more specific operational issues facing the business. Product planning and new market studies – How successful was your last product launch? The trick is getting the product designed and developed properly to meet the needs of the target market. If you’ve target the “wrong” market with your technology or haven’t developed a great user interface—you’re probably in trouble—no matter how “killer” your underlying technology is. Unfortunately, all too often a product doesn’t “hit” until it’s second release because of product/market planning issues like this. Often that’s too late – let us help you get it right the first time. Establishment/modification/implementation of worldwide distribution strategies – Are your products being sold through every channel that is applicable? Are you only selling in your home country, leaving the rest of the world to your competitors? Or is your product line over-distributed and suffering from massive channel conflict? If so, we can help—we’ve tackled these problems successfully too many times to count. Online Marketing Campaigns – Is your online presence optimal? Are you being found by your target audience online, or just when your offline marketing and sales activies send them to your website. We can design and help you implement a comprehensive approach to online marketing, including all of the key elements: SEO, PPC, Social Media, PR, direct email and more. Operational review of corporate business plans/staff/budgets – We look for inefficiencies throughout the company—something that is often done more effectively by a third-party who isn’t “too close” to pet projects and departmental fiefdoms. We can help redirect a company toward a more profitable future if the strategy isn’t optimal. Or we may uncover resource that aren’t being used optimally or other inefficiencies, allowing the “found money” to be utilized to accelerate the current strategy. Sales force effectiveness, tactics and compensation plan review – Are you getting the most out of your sales force? Is the sales compensation plan fully aligned with overall corporate goals? Is the sales base/incentive split such that the sales people are properly motivated? We can help make sure that your hot product moves as fast through the sales pipe as possible. Optimization of Marketing/Promotional mix within budgetary constraints – Everybody loves to see a full-color ad of their newest product in their favorite magazine. Or go to a trade show to “show it off”. But these days those kinds of expenditures are limited to the very largest companies and budgets. You have a limited marketing budget and window to hit your revenue targets—what are the fastest and most efficient ways to the promised land? Every product, target market and market stage is a little different—and no one marketing mix “fits all”. We’ve utilized just about every business-to-business and consumer technology marketing method in existence. Let us design the right plan for your situation—and help you to implement it until you’ve reached success. Implementation of New Marketing and Sales Tactics – We can engage on a very tactical basis as well as strategic. PJM has expertise in online marketing activities such as PPC advertising, Social Media marketing and SEO optimization. We can initiate and run these activities for you. We also have deep experience in offline tactical marketing activities such as white papers, PR, print advertising, trade shows, and much more. Whether you need strategic assistance, tactical assistance, or a little of both, we can help you hit the ground running–quickly and efficiently. Strategic Partner Planning, Selection and Recruitment – A very underutilized marketing approach is to partner with complementary suppliers. From potential channel partners to vendors who offer non-competitive products to the same target audience, there’s great potential to partner. Not only is partnering underutilized, it’s very inexpensive when done by experienced and skilled business developers. Let us be your “outsourced” Business Development/Alliances department. Profitability review: Drop more to bottom line w/o adversely impacting the future – Your sales are rising, but profits are lagging—or non-existent. Is your company in the “habit” of always “investing” and never “profiting”? Which product lines are creating revenue but have little hope of significant profits? What expenditures are truly driving the business, and which could be eliminated with no adverse impact whatsoever? Learn which departments are core, and which activities would be more efficiently outsourced. We can show you the way to maximize what really counts in any software or hardware business—the bottom line. M&A-Acquisition/divestiture strategy to optimize the product mix – Are you competing in the right markets, given your company’s strengths and weaknesses? Do you have a product line or Division that just doesn’t “fit” with the rest of the business? Can you develop that next product internally and still make it through the market window? Technology markets move at warp speed and sometime you just can’t get to where you need to be fast enough using internal resources. Merger & Acquisition strategies are not for the faint of heart. If done poorly (as they are all too often), M&A can be disastrous for a company. But done well, almost nothing can position your company for growth faster. PJM Consulting has been involved in driving many transactions and successfully integrated acquisitions into the “mothership”. We can guide you to avoid the pitfalls that trip up many potentially successful transactions, as well as assisting in due diligence of proposed deals. Interim senior management including CEO, COO, GM, VP Marketing, VP Sales, VP Business Development – Haven’t fully staffed your early stage company yet—but can’t afford to make mistakes in one of those critical functional areas? Had a key manager leave your established firm at the worst time? PJM Consulting can provide a proven, seasoned manager on-demand to make sure sound decisions are made until a permanent manager is brought on board—keeping your business on a winning track. 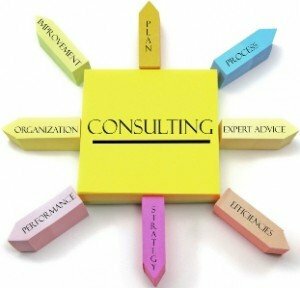 Contact PJM Consulting to discuss a customized engagement to take your company to the next level today! "I have worked closely with Phil in several M&A projects and have found him to be diligent, resourceful and relentless in achieving our objectives. 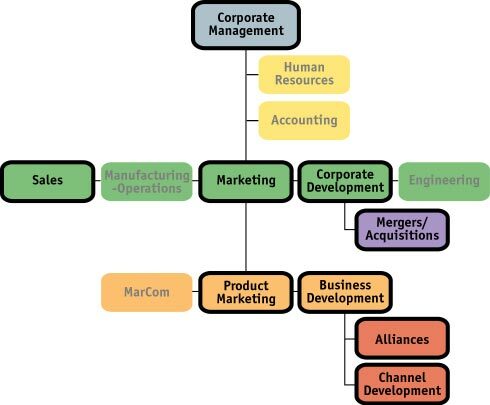 I have further found that he also has excellent depth of knowledge in the software business, especially in terms of marketing, pricing and strategic analysis. I highly recommend Phil as a valuable asset to any IT business and will work with Phil in other projects in the future."